GIS4BUSINESS has sponsored a new football kit for Ridgeway Primary Academy in Market Harborough. 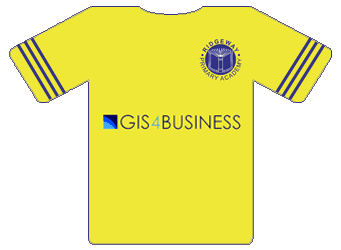 The new yellow kit includes the GIS4BUSINESS logo and will hopefully inspire the team to achieve great things. The sponsorship is part of our commitment to donate 1% of net profit annually to charities and community groups in the UK and abroad.